If you’re a Witch Doctor that digs your DoTs, then you’re already familiar with the Raiment of the Jade Harvester set. In today’s Play Your Way build, MicroWaveCat#2473 ditches the 4 and 6-piece bonus and really lets the spirits guide his way. Damage over time effects are one of those mechanics that, typically, are the type to pay off in the long run. The Raiment of the Jade Harvester set turns that concept on its head by effectively detonating those long debuffs into instantaneous effects. EU player MicroWaveCat#2473 focused on that first set bonus to capitalize on making Haunt devastatingly awesome. Who ya gonna call? WITCH DOCTAH! This singular focus on a damaging skill leaves a lot of room open for crowd control and utility abilities, ensuring MicroWaveCat keeps his enemies more than sufficiently at bay. It also makes for an easy to pick up and go kind of build that’s ideal for keeping a rapid pace, especially for speed-farming. 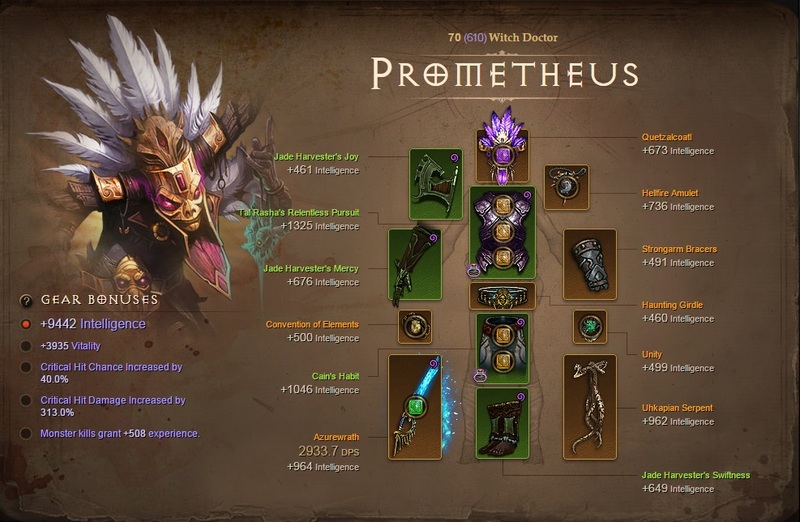 Your damage in this build will primarily come from repeated Haunt casts while other skills offer crowd control, damage boosts, and personal utility. One of the most appealing parts of MicroWaveCat’s build is the low barrier for entry. While you’ll want to gather a few more of the complementary items listed if you want to push it to the limits, there’s very little needed to get started. 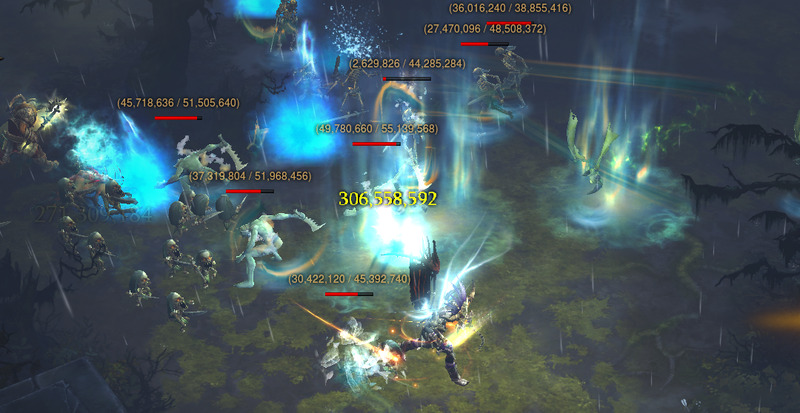 The Tal Rasha's threw me off at first, but MicroWaveCat makes a good point on their inclusion for more Attack Speed. The Haunting Spirits Witch Doctor is extremely versatile, and requires very little to get started. Simply picking up a couple pieces of Raiment of the Jade Harvester and stacking some Attack Speed is enough to get you started at 70 and into fast-moving bounty and Nephalem Rift farming. It scales reasonably well and offers substantial crowd control to combat the nastier situations that can arise in Greater Rifts. Overall, it makes for a great stepping stone to grow from for any budding young Witch Doctor. It makes for a rather ghastly experience (for the demons, I mean). Are you a fan of Haunt or the Raiment of the Jade Harvester set? How does your build differ? Do you have any recommendations for MicroWaveCat? Let us know in the comments or send your build in and you might see yourself right here on the front page in the future! That wraps up this round of Play Your Way. Next week, we’ll be opening up the polls for you to vote on the next guest for our upcoming livestream. See you then!